Router articles: How to Encourage Customers to Use Your Wi-Fi? How to Encourage Customers to Use Your Wi-Fi? Since Facebook has started offering ‘Find Free Wi-Fi’ feature to its users, businesses have started to take Wi-Fi marketing seriously. Businesses are trying to find new ways to encourage customers to use their Wi-Fi hotspot. 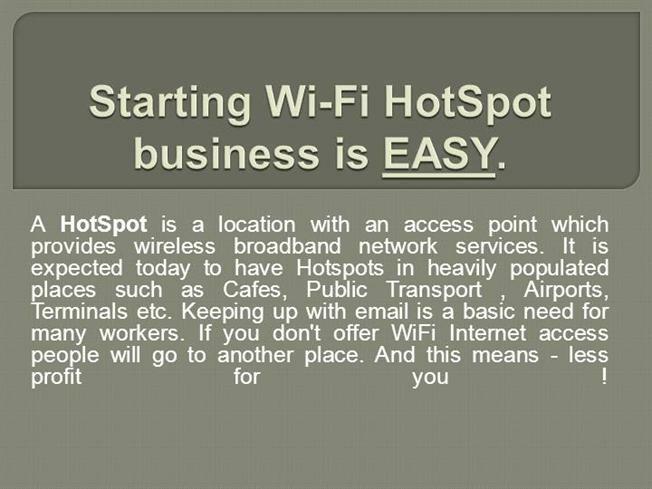 Let us learn more about the ways that help lure potential customers to use your business Wi-Fi hotspot. Before we go into the details of attracting potential customers to your business by providing free hotspots, let us understand what Wi-Fi marketing is. This is the latest method to advertise your business or service. It helps by communicating directly with your customers or users at the point of your business. Today, every person is connected to the Internet in some way or the other. This includes by use of laptops, notebooks, tablets, as well as smartphones. People are always looking for free Wi-Fi to stay connected online when travelling and save previous and expensive mobile data. When a business offers free Wi-Fi to a user, they are bound to visit the place more often and use their services to some extent. They even need to login or ‘Like’ in some cases the businesses ‘splash’ page. This gives an opportunity to business owners to learn more about their potential customers. Thus, according to the data collected, you can showcase more relevant products, services, offers, promotional discounts, etc. related to your business. Once this information is passed on to the customer, they will be connected to the Internet and access any online service they need. After certain period of time, the customer will again return to the original splash page, reminding them of the business that is providing them with the free Wi-Fi service. It is important to find simple yet effective ways that encourages customers to the Wi-Fi offered by your business establishment. This will bring in more potential customers and increase your sales. Let us have a look at some of the simplest methods to help attract more customers using your Wi-Fi hotspot. When a customer searches for free Wi-Fi using the ‘Find Free Wi-Fi’ feature on Facebook, they tend to look for places that do not have complicated authentication processes. No one wants to spend time trying complicated passwords or authentication processes just to gain entry to free hotspot connections. Just keep this first step very simple. The user needs to ‘Like’ or ‘Follow’ your splash page on Facebook by login into their Facebook account. Once this is done, they can continue to browse any site they wish. Once they gain access to your Wi-Fi connection, you can reward them by offering personalized discounts, coupons or even deals that motivates them to use your services or buy your products. This even encourages them to visit your store or café or business more often to get similar deals. You can encourage users to ‘Check-in’ to your Facebook page and encourage more potential users in their friends list to visit your business. More people from their friends list coming in with their deal code will result in attractive discounts for the new as well as old customer. Thus, you not just encourage a customer to return, but even indirectly bring in more customers. If you have a coffee shop and find couples walking in more, then offer ‘Buy 1 Coffee Latte and Get 1 Free’ offer only to their Wi-Fi hotspot users. Or a retail clothes store can offer special offers to their lady clients who purchase more than a certain amount. You need to analyze your target audience and their habits. Thus finding ways to make them visit your store more and more. These are some ways to lure customers to use your Wi-Fi hotspot and visit your business more often. Thus, improving your list of patrons in terms of sale and followers on social media account that gives you indirect promotion. How to Use Android Phone as Wi-Fi Hotspot?